Throughout China’s turbulent history there have been many styles of Martial Arts that owe their development to the Shaolin Temple in Henan province. The Temple has acted as a catalyst for the development of the Chinese Martial Arts for generations. 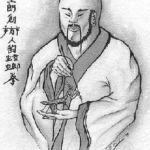 According to tradition the founder of the Praying Mantis style was Master Wong Long, an unshaven monk of the Henan Shaolin Temple. 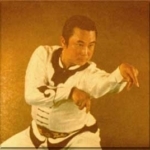 Wong Long was a native of Shantung province; he came from a wealthy family and studied the martial arts in his youth. Wong Long entered the Shaolin Monastery around 350-400 years ago in the period between the Ming ( 1368 – 1644 ) and the Ching ( 1644-1911) Dynasties; it was a time of chaos for China with the Manchu’s committing many atrocities. The Manchu’s were Mongoloid people of Manchuria who conquered China in the 17th century establishing an imperial dynasty that lasted until 1912. At Shaolin, Wong Long would train with his Kung Fu brothers, but no matter how hard he trained, he could never reach their standard and was always defeated by them. 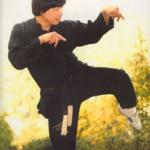 Wong would often travel to other areas of China seeking out famous Kung Fu masters to help improve his skills. When he returned to Shaolin he would again train with his Kung Fu brothers, although he had obtained the techniques of seventeen different Kung Fu styles he could still not defeat the other monks. While he was away his martial skills had grown to a higher level, but his Kung Fu brothers were also training hard and so their skills had kept pace with his. One day while out walking, Wong Long witnessed a fight between a Praying Mantis and a Cicada (a large broad winged insect of the homopterous family). Although at first glance it would appear that the small Mantis had a distinct disadvantage against such a large insect, it fought with great courage. Wong was fascinated by the aggressiveness, speed and strength of the apparently over matched Mantis. 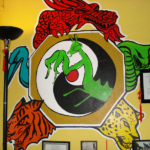 Seven Star was one of the four he created first and since then we have alot of different styles of Praying Mantis. When the Cicada attacked, the Mantis would angle its body to the side, and with lightning speed and strength it would pin the Cicada with its powerful forearms. Wong Long took the Mantis back to his living quarters for further study, he used a reed to prod the Mantis and carefully studied its movements, examining how it reacted to various situations, Wong would then imitate these actions and over time the system slowly evolved. 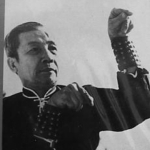 Wong Long compiled these movements into what is known today as the 12 Key Words Verbal Formula, the Seven Long, 8 Short, 8 Rigid hand Patterns, the 12 Flexible Hand Patterns, the Eight Vulnerable and 8 Lethal points of attack. 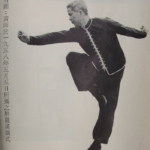 This led to the development of the Praying Mantis style of Kung Fu with its characteristic strong and rapid movements. When Wong Long was satisfied he added to the new style the best techniques from the other seventeen styles, which he had previously studied. The more he practiced, the more he realized that although the structure of the style was very fast, depicting the power and speed of the Mantis, the footwork was inadequate to deliver these speedy blows. Wong later observed monkeys playing and fighting, the solution was very clear. If he could blend the clever footwork of the monkey with the hand movements of the Mantis, both speed of hands and feet would be assured. After a further period of training Wong Long tried his newly created style while practicing with his fellow Monks. Much to their surprise he was able to defeat them, so much so they continued to train and research together to further improve the skills of this new style. On leaving the Shaolin Monastery Wong returned to Shantung and helped to establish a Temple at Laoshan. The Seven Star Praying Mantis style takes its name from the star constellation the Big Dipper, the inside meaning being ‘ the disciples of this style should spread all over the world ‘. Some historians link this with the Secret Societies whose aim was to ‘ overthrow the Ching and restore the Ming ‘. Others say that the Mantis, which Wong Long caught, had Seven Stars on its body. 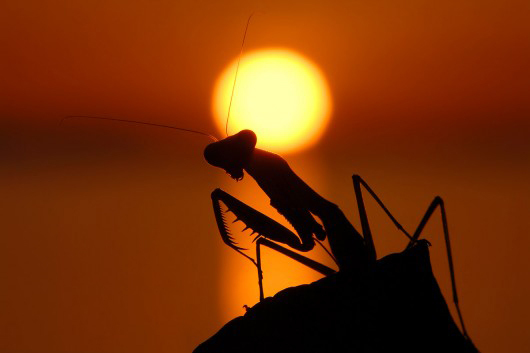 The Praying Mantis system started when a Chinese Martial Artist named Wong Long needed to perfect his fighting ability. By chance he observed a praying mantis in battle. As he watched, he was amazed how well it fought and protected itself and also how it easily defeated a much larger opponent. He decided to study the mantis’ techniques, and developed the trademark of Praying Mantis, the Mantis Claw (gou), a grabbing motion that derives all of its power from the wrist and forearm. 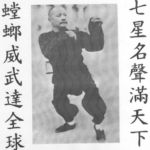 Wong Long also observed the manner in which monkeys move and from that created the Mantis “monkey step”, a quick and balanced method of footwork Seven Star Praying Mantis techniques stress that one hand should be used to defend at all times. The guarding hand is kept up and centered on the front and the other hand should remain free to execute the next move whether offensive or defensive. This means that two or three movements are happening at once. This is very effective for infighting techniques. 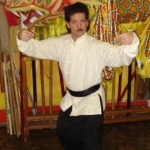 The stances and foot movements along with the hand techniques can be intricate and demanding but with practice can be perfected. Classical form is also very important to the Seven Star Praying Mantis stylist.